Henry Hemming was born in 1979 and grew up in London. Since then he has written four non-fiction books – Together (John Murray, 2011), In Search of the English Eccentric (John Murray, 2008), Misadventure in the Middle East (Nicholas Brealey, 2007) and a monograph on a Saudi artist Abdulnasser Gharem (Edge of Arabia, 2011). Henry's journalism has been published in The Sunday Times, The Daily Telegraph, The Times, The Economist, FT Magazine andThe Washington Post among others. When not writing, Henry gives talks and interviews, and has done so in all sorts of places, from BBC Radio 4’s Today Programme to NBC’s Today Show, as well as workshops and lectures for schools, festivals and companies including RDF Media, the RSA, the Big Society Network, The Frontline Club, The School of Life, British Naturism, Port Eliot Literary Festival and Canvas8, where he is a ‘Thought Leader’. “Absolute proof that assiduous digging in the archives can produce scoops. This is intelligence research at its best, especially in the identification of hitherto anonymous agents. Definitely a great contribution to the literature." Maxwell Knight was a paradox. A jazz obsessive and nature enthusiast (he is the author of the definitive work on how to look after a gorilla), he is seen today as one of MI5's greatest spymasters, a man who did more than any other to break up British fascism during the Second World War – in spite of having once belonged to the British Fascisti himself. He was known to his agents and colleagues simply as M, and was rumoured to be part of the inspiration for the character M in the James Bond series. Knight became a legendary spymaster despite an almost total lack of qualifications. What set him apart from his peers was a mercurial ability to transform almost anyone into a fearless secret agent. He was the first in MI5 to grasp the potential of training female agents. M is about more than just one man however. In its pages, Hemming reveals for the first time in print the names and stories of seven men and women recruited by Knight, on behalf of MI5, and then asked to infiltrate the most dangerous political organisations in Britain at that time. Until now, their identities have been kept secret outside MI5. Drawn from every walk of life, they led double lives―often at great personal cost―in order to protect the country they loved. With the publication of this book, it will be possible at last to celebrate the lives of these courageous, selfless individuals. 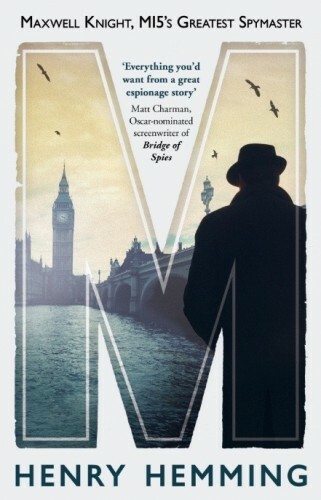 Drawing on declassified documents, private family archives and interviews with retired MI5 officers as well as the families of MI5 agents, M reveals not just the shadowy world of espionage but a brilliant, enigmatic man at its centre. "The book is not only newsworthy but also has an imaginative structure. [Pyke] was intrepid, brilliant and bizarre. Any one of those qualities, let alone all three, could land a biography on a summer reading list." "Fans of Graham Greene and Alan Furst will revel in this well-told true-life story." "It is difficult not to be impressed by Pyke’s astonishingly fertile, unorthodox mind and (until the very end) his unquenchable belief that anything was possible. 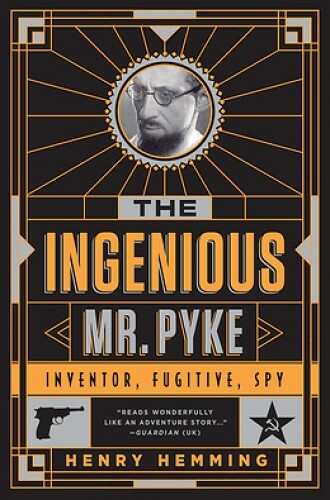 […] Mr. Hemming presents a good case for celebrating Pyke as a true original and as an admirable model of innovation." "Now and then there appears on the scene a man, out of the common mould, who lives a strange life on his own, who spurns the beaten path, subjects all he sees to searching revaluation, and who devises vast schemes for the betterment of the human lot. Such a man was Geoffrey Pyke." "It is as if he had been invented by G. K. Chesterton and given posthumous fame by John le Carré - which underlines the extraordinary accomplishment of his actual biographer Henry Hemming." "His was not a lucky life but, in his biographer, he has gained a little bit of posthumous luck. This admirable and thoroughly enjoyable book should rescue a weirdly original and innovative talent from oblivion." "This is a fascinating biography [...] Hemming succeeds in celebrating the achievements of this true original." This is the extraordinary story of Geoffrey Pyke, an inventor, war reporter, escaped prisoner, campaigner, father, educator–and all-around misunderstood genius. In his day, he was described as one of the world’s great minds, to rank alongside Einstein, yet he remains virtually unknown today. Pyke was an unlikely hero of both world wars and, among many other things, is seen today as the father of the U.S. Special Forces. He changed the landscape of British pre-school education, earned a fortune on the stock market, wrote a bestseller and in 1942 convinced Winston Churchill to build an aircraft carrier out of reinforced ice. He escaped from a German WWI prison camp, devised an ingenious plan to help the Republicans in the Spanish Civil War, and launched a private attempt to avert the outbreak of the Second World War by sending into Nazi Germany a group of pollsters disguised as golfers. Despite his brilliance, Pyke ultimately could not find peace, committing suicide in 1948. Yet the full scope of his story remained secret even after his death: in 2009, MI5 released a mass of material suggesting that Pyke was in fact a senior official in the Soviet Comintern. In 1951 papers relating to Pyke were found in the flat of “Cambridge Spy’ Guy Burgess after his defection to Moscow. MI5 had “watchers” follow Pyke through the bombed-out streets of London, his letters were opened and listening devices picked up clues to his real identity. Convinced he was a Soviet agent codenamed Professor P, MI5 helped to bring his career to an end. It is only now, more than sixty years after his death, that Geoffrey Pyke’s astonishing story can be told in full. The Ingenious Mr. Pyke is a many-faceted account of this enigmatic man’s genius, and reveals him as one of the great innovators of the last century. Together is about the extraordinary revival of small groups in Britain today. What happens when a room full of people decide to work towards the same dream? Why is it that when we come together in small groups we are so much more than the sum of our parts? From druids to bingo-clubbers, eco-warriors to flash-mobbers, historical re-enactors to bee-keepers, books groups and knitting circles, W.I.s, Young Farmers and the fan-owners of a football club, Together reveals the true story of modern Britain. The country we live in is in fact an extraordinary composition of small groups powered by shared interests and common ideals. 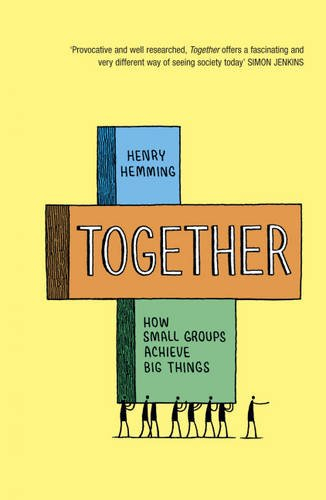 Hemming reveals a different way of seeing society, one that recognizes the massive, untapped potential of these hundreds of thousands of small groups, how they work and what they enable us to do that we can't do alone. Witty and provocative, Together gives us an extraordinary cast of characters, a series of unlikely alliances and most importantly, a vision of what we can achieve Together. 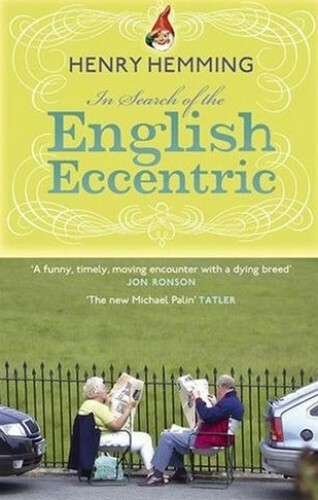 The English eccentric is under threat. In our increasingly homogenised society, these celebrated parts of our national identity are anomalies that may soon no longer fit. Or so it seems. On his entertaining and thought-provoking quest to discover the most eccentric English person alive today, Henry Hemming unearths a surprisingly large array of delightfully odd characters. He asks what it is to be an eccentric. Is it simply to thrive on creativity and non-conformity, and where does this incarnation of Englishness stem from? Hemming concludes that this tribe is, in fact, in rude health, as essential as ever to the English national identity, only they are no longer to be found where youd expect them.